At least 290 people have been confirmed dead in a fire that broke out in a garment factory in Karachi on Tuesday night. 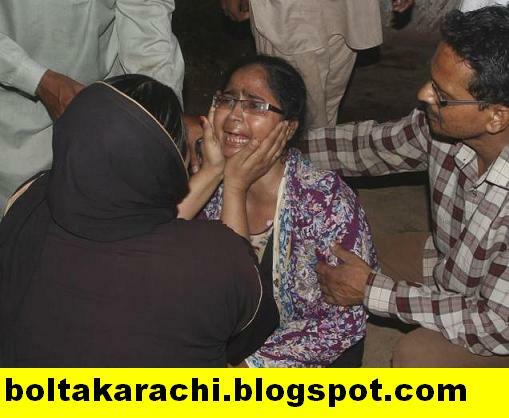 Till late Wednesday evening, bodies were being recovered from inside the factory. Security personnel maintained that the body count could climb as rescue workers had not been able to access several parts of the four-storied building. Tuesday being the pay day, most of the employees were present in the factory. 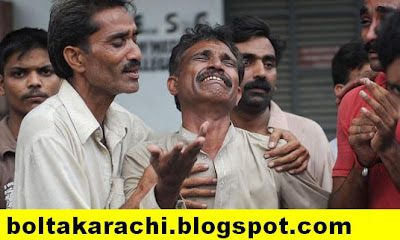 According to police, there were at least 1,000 people inside the factory in the Baldia Town area of the metropolis. With only one exit, panic-stricken people could be seen trying to get out of the building sliding drainage pipes along the walls. Many jumped out, injuring themselves. Nealy 65 persons had sustained fractures. There was additional fear of the building collapsing as its walls had developed cracks. 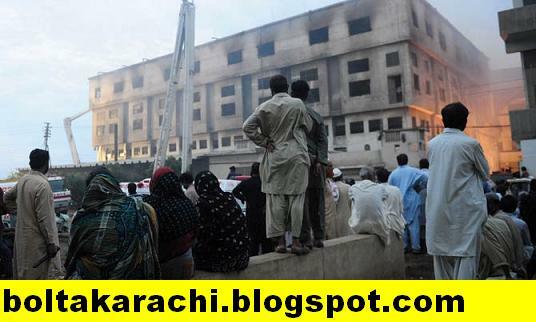 With the blaze spreading through the premises fast and remaining out of control for hours, rescue workers could get inside only after several hours had lapsed, adding to the toll. According to fire personnel, many of those killed had died of asphyxiation first and then their bodies got burned as the blaze continued to engulf the building. Rescue operations were slowed down by the huge presence of grieving relatives who milled around the premises in search of their loved ones. We are feeling sorry for the families of approx 300 factory workers who killed in fire .